New recording from Weston's African Rhythms Trio to be featured. Omaha, Nebraska – A tribute to legendary Jazz pianist Randy Weston will be presented on the Last Call on July 22nd. Weston, who turns 80 this year, has a new record out called "Zep Tepi". It features Weston's African Rhythms trio, consisting of Weston on the piano, Alex Blake on Bass, and Neil Clarke on African Percussion. The record is Weston's first trio recording in 40 years-but is unlike most jazz trio recordings, as the unit is firmly anchored in the musical and spiritual essences of Africa. Known for his height (6-foot-7) as well as his artistry at the piano, Weston initially emerged in the 1950s as a hard bop pianist. As a student of Thelonious Monk and Dizzy Gillespie, Weston worked as a restaurateur and did other odd jobs before being discovered by record company representatives. Weston is well known for his jazz standards "Little Niles" and "Hi-Fly". Since 1960, Randy has pursued a path of deep exploration of the roots of jazz back to its source, Africa. That year's "Uhuru Afrika" (Roulette) heralded that direction. The record is a four-part suite celebrating the then-new African nations shaking off colonial rule, and features the first of many collaborations with trombonist Melba Liston, with whom Weston was to work with extensively over several decades. Weston became further immersed in the possibilities of African music after a series of successive trips to the continent in the 1960s. A State Department-sponsored African tour in 1967 changed his life. His band made such a powerful impression during a brief stay in Rabat, Morocco that he was invited to settle in that country, an invitation that led to a long-lasting relationship with the North African nation. As Yaa-Lengi M. Ngmei writes in the liner notes for the new record, "For over half a century Randy has served as a musical anthropologist-connecting the notes, chords, ideas and spiritual essence of jazz, blues, R & B, Caribbean, western and eastern music back to their source-Africa." 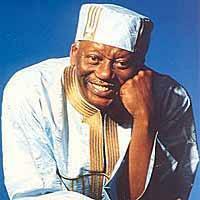 Randy Weston firmly believes that "If you take the African elements out of jazz, you have nothing." Chris Cooke has hosted Last Call, a weekly program featuring new and vintage progressive jazz recordings, since 1996.